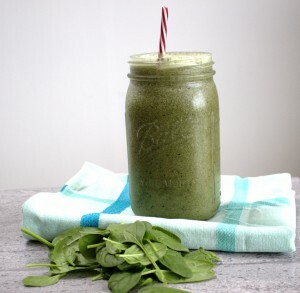 Green Dairy free Smoothie-Start your day the health way! DAIRY-FREE, REFINED SUGAR-FREE, SPECIFIC CARBOHYDRATE DIET (SCD) & PALEO. There’s nothing like this green dairy free smoothie to make you feel you’re being healthy. 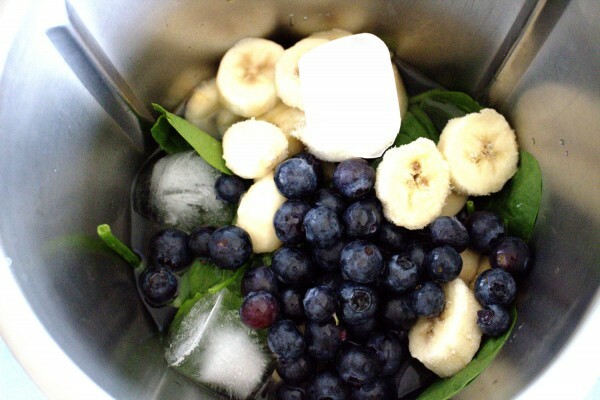 This smoothie is definitely healthy with coconut water, spinach and blueberries. There are lots of new brands of coconut water cropping up in the supermarket these days but beware of additives. Check the labels very carefully. 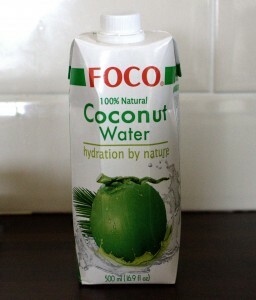 I found this brand, FOCO, in our local Asian wholesale store and it is 100% coconut water. This smoothie is refreshing and great if you are looking for something light and a change from coconut and almond milks. Perfect for this time of year after some Christmas over-indulgence! Check out some more of my healthy drinks and smoothies here. A delicious, healthy green smoothie to boost start your day. Mix everything well in a blender.